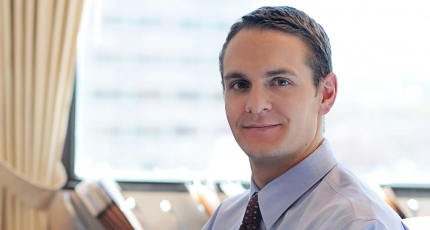 Daniel Alsup is a member of the firm’s Public Finance group. He regularly advises clients regarding a wide variety of public finance transactions and matters, including general obligation and revenue bonds, industrial revenue bonds, special district formation and financing, tax exempt and taxable loans, permissible uses of bond proceeds, post-issuance disclosure compliance, and bond election procedures. 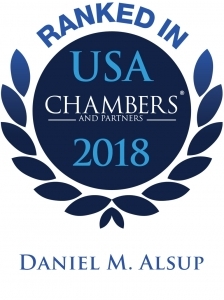 Chambers USA has recognized Daniel in the area of Corporate/Commercial law and stated in their 2017 edition, “Daniel Alsup comes highly regarded for his work in bond finance. One client says that he is “a rising star in Albuquerque for bond counsel, and doesn’t get bogged down like others in minutiae.” He has been selected as a Southwest Rising Star in Government Finance by Southwest Super Lawyers®, and has also been recognized by Best Lawyers in America® in Public Finance Law. Daniel currently serves on the firm’s Executive Committee. Daniel has extensive experience representing public bodies in New Mexico in a wide variety of public finance transactions.